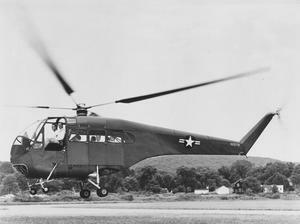 Glidden (Glid) Sweet Doman, 95, was a pioneer in the American helicopter industry. 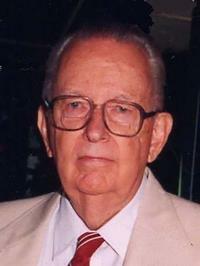 He was an Emeritus Member of AHS International, having joined the then-American Helicopter Society in 1945. He was very active in the early days of AHS, with Doman Helicopters sponsoring many AHS dinners in Connecticut in the 1950s. He died Monday, June 6, 2016. Doman was born in Syracuse, New York on January 28, 1921 and grew up in nearby Elbridge. In his teens, he built motorized go-carts and an aerodynamically streamlined Soap Box Derby racer; when he was 15, he was the winner of the 1936 Syracuse Regional Soap Box Derby race, and competed in the third annual national race in Akron, Ohio. After he graduated from the University of Michigan in 1942 with a degree in aeronautical engineering, his brother invited him to attend a Society of Automotive Engineers (now SAE International) meeting where Igor I. Sikorsky was speaking. When the 22-year old Doman heard that a Sikorsky helicopter had broken a blade during a delivery flight, it sparked an interest in the burgeoning field of helicopters and rotor systems. Helicopters were needed for the War effort, but blade life was unsatisfactory: the infant helicopter industry barely understood rotor dynamics. For a detailed account of his life and work see his obituary on the AHS webpage "AHS Mourns the Loss of Glid Doman, Last Helicopter Pioneer".